My 8 year old daughter and I recently finished this book, and I've been meaning to write about it because it was one fun read! As kids get older, the less and less they care about books, and the more they care about computers, and iPhones. But this book literally had my daughter hooked, and she did not put it down until we finished. If you have a tween girl, I highly recommend it. 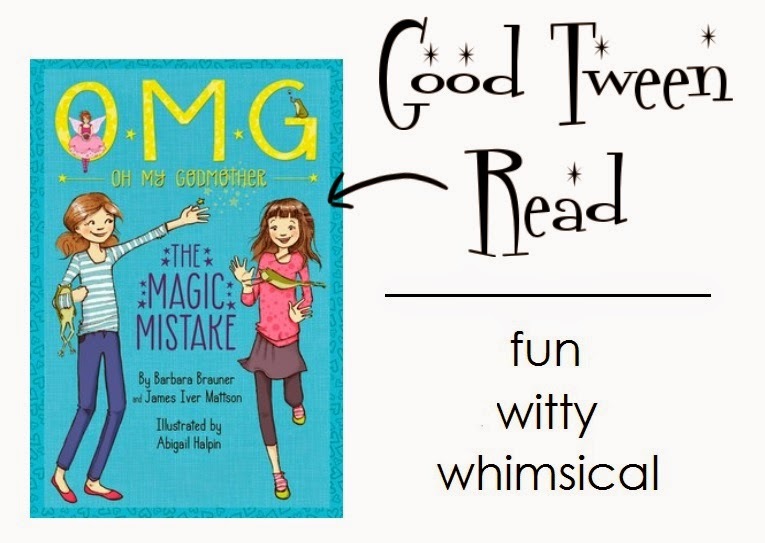 Oh My Godmother: The Magic Mistake is the second book in the O.M.G. 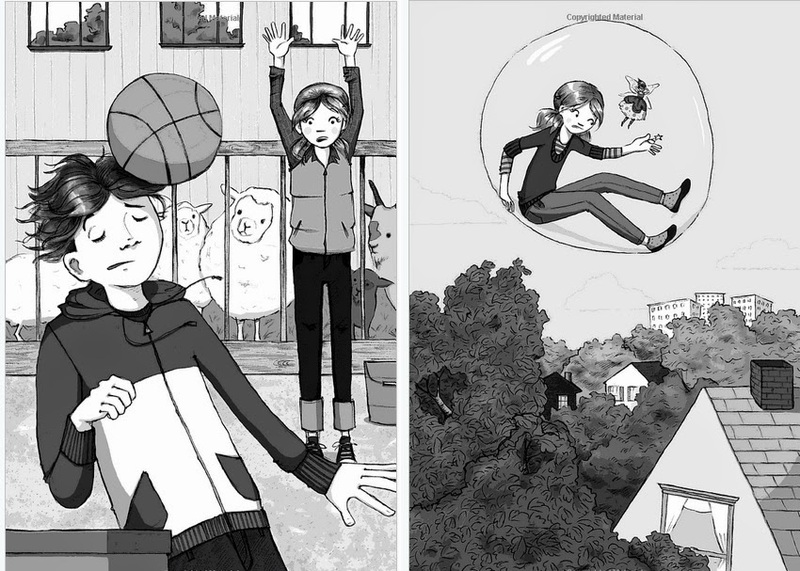 (Oh My Godmother) series, but you honestly don't feel lost while reading it. We took turns reading it at bedtime and it was a great bonding experience for us. The book was filled with laughter and silly moments that made my daughter burst out laughing. I will definitely be picking up the first book in the series to read with her. Oh My Godmother: The Magic Mistake, by Barbara Brauner, James Iver Mattson and illustrated by Abigail Halpin. Recommended for ages 9-12. After becoming the most awkward fairy godmother ever, twelve year old Lacey Unger-Ware thought that her magical duties were done for good. In fact, she's just getting started. When Lacey is invited to attend the Godmother Academy, it should be a dream come true. But to Lacey, it means the total opposite: she'll have to be separated from her friends and family for a hundred years. Um, no thank you! My girls ages 6 and 8 cannot get enough of the Oh My Godmother books. They are funny and entertaining. Lots of attitude from the characters and the prose keeps it interesting for them. Just wish there were more in the series. If your girls like the writing style I would recommend the Whatever After series. They're just as fun and have more way more books they can read.